Highly qualified Super Lawyer & Experienced Cyclist Kenneth Knabe – Protecting Cyclists in Greater Cleveland through injury representation, sponsorships, education and Vision Zero safety legislation. 14222 Madison Avenue, Lakewood, Ohio 44107. 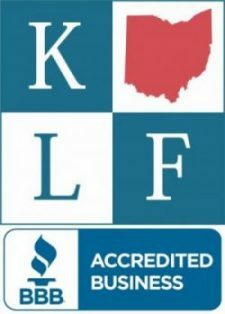 Phone: 216 228 7200; ken@KLFOhio.com; www.KLFOhio.com. Attorney Knabe is a fellow cyclist, local bike club member and supporter, personal injury trial lawyer and corporate sponsor and co-author of the “Bikes and the Law” section for Bikecleveland.org. As a fellow cyclist it is important to know the “rules of the road.” Rocky River, Ohio’s city ordinances pertaining to bicycles are set forth below. Knowledge of your local bike laws empowers you to ride safer! 373.01 Code application to bicycles. 373.02 Riding upon seats; handle bars; helmets and glasses. 373.03 Attaching bicycle or sled to vehicle. 373.04 Riding bicycles and motorcycles abreast. 373.05 Signal device on bicycle. 373.06 Lights and reflector on bicycle; brakes. 373.07 Riding bicycle on right side of roadway; obedience to traffic rules; passing. 373.08 Reckless operation; control, course and speed. 373.10 Motorized bicycle operation, equipment and license. 373.11 Paths exclusively for bicycles. (a) The provisions of this Traffic Code that are applicable to bicycles apply whenever a bicycle is operated upon any street or upon any path set aside for the exclusive use of bicycles. (b) Except as provided in subsection (d) of this section, a bicycle operator who violates any section of this Traffic Code described in subsection (a) of this section that is applicable to bicycles may be issued a ticket, citation or summons by a law enforcement officer for the violation in the same manner as the operator of a motor vehicle would be cited for the same violation. A person who commits any such violation while operating a bicycle shall not have any points assessed against the person’s driver’s license, commercial driver’s license, temporary instruction permit, or probationary license under Ohio R.C. 4510.036. (c) Except as provided in subsection (d) of this section, in the case of a violation of any section of this Traffic Code described in subsection (a) of this section by a bicycle operator or by a motor vehicle operator when the trier of fact finds that the violation by the motor vehicle operator endangered the lives of bicycle riders at the time of the violation, the court, notwithstanding any provision of this Traffic Code to the contrary, may require the bicycle operator or motor vehicle operator to take and successfully complete a bicycling skills course approved by the court in addition to or in lieu of any penalty otherwise prescribed by the Traffic Code for that violation. (e) The provisions of this Traffic Code shall apply to bicycles except those which by their nature are not applicable. (a) For purposes of this section “snowmobile” has the same meaning as given that term in Ohio R.C 4519.01. (b) No person operating a bicycle shall ride other than upon or astride the permanent and regular seat attached thereto, or carry any other person upon such bicycle other than upon a firmly attached and regular seat thereon, and no person shall ride upon a bicycle other than upon such a firmly attached and regular seat. (c) No person operating a motorcycle shall ride other than upon or astride the permanent and regular seat or saddle attached thereto, or carry any other person upon such motorcycle other than upon a firmly attached and regular seat or saddle thereon, and no person shall ride upon a motorcycle other than upon such a firmly attached and regular seat or saddle. (d) No person shall ride upon a motorcycle that is equipped with a saddle other than while sitting astride the saddle, facing forward, with one leg on each side of the motorcycle. (e) No person shall ride upon a motorcycle that is equipped with a seat other than while sitting upon the seat. (f) No person operating a bicycle shall carry any package, bundle or article that prevents the driver from keeping at least one hand upon the handle bars. (g) No bicycle or motorcycle shall be used to carry more persons at one time than the number for which it is designed and equipped. No motorcycle shall be operated on a highway when the handlebars rise higher than the shoulders of the operator when the operator is seated in the operator’s seat or saddle. (h) No person shall operate or be a passenger on a snowmobile or motorcycle without using safety glasses or other protective eye device. No person who is under the age of eighteen years, or who holds a motorcycle operator’s endorsement or license bearing “novice” designation that is currently in effect as provided in Ohio R.C. 4507.13, shall operate a motorcycle on a highway, or be a passenger on a motorcycle, unless wearing a protective helmet on the person’s head, and no other person shall be a passenger on a motorcycle operated by such a person unless similarly wearing a protective helmet. The helmet, safety glasses or other protective eye device shall conform with rules adopted by the Ohio Director of Public Safety. The provisions of this subsection or a violation thereof shall not be used in the trial of any civil action. (i) (1) No person shall operate a motorcycle with a valid temporary permit and temporary instruction permit identification card issued by the Ohio Registrar of Motor Vehicles pursuant to Ohio R.C. 4507.05 unless the person, at the time of such operation, is wearing on the person’s head a protective helmet that conforms with rules adopted by the Director. On any limited access highway. (j) Nothing in this section shall be construed as prohibiting the carrying of a child in a seat or trailer that is designed for carrying children and is firmly attached to the bicycle. (k) Except as otherwise provided in this subsection, whoever violates this section is guilty of a minor misdemeanor. If, within one year of the offense, the offender previously has been convicted of or pleaded guilty to one predicate motor vehicle or traffic offense, whoever violates this section is guilty of a misdemeanor of the fourth degree. If, within one year of the offense, the offender previously has been convicted of two or more predicate motor vehicle or traffic offenses, whoever violates this section is guilty of a misdemeanor of the third degree. (a) No person riding upon any motorcycle, bicycle, coaster, roller skates, sled or toy vehicle shall attach the same or self to any vehicle upon a roadway. No operator shall knowingly permit any person riding upon any motorcycle, bicycle, coaster, roller skates, sled or toy vehicle to attach the same or self to any vehicle while it is moving upon a roadway. This section does not apply to the towing of a disabled vehicle. (b) Except as otherwise provided in this subsection, whoever violates this section is guilty of a minor misdemeanor. If, within one year of the offense, the offender previously has been convicted of or pleaded guilty to one predicate motor vehicle or traffic offense, whoever violates this section is guilty of a misdemeanor of the fourth degree. If, within one year of the offense, the offender previously has been convicted of two or more predicate motor vehicle or traffic offenses, whoever violates this section is guilty of a misdemeanor of the third degree. (a) Persons riding bicycles or motorcycles upon a roadway shall ride not more than two abreast in a single lane, except on paths or parts of roadways set aside for the exclusive use of bicycles or motorcycles. (a) A bicycle may be equipped with a device capable of giving an audible signal, except that a bicycle shall not be equipped with nor shall any person use upon a bicycle any siren or whistle. (1) A lamp mounted on the front of either the bicycle or the operator that shall emit a white light visible from a distance of at least five hundred feet to the front; and three hundred feet to the sides. A generator-powered lamp that emits light only when the bicycle is moving may be used to meet this requirement. (2) A red reflector on the rear that shall be visible from all distances from one hundred feet to six hundred feet to the rear when directly in front of lawful lower beams of head lamps on a motor vehicle. If the red lamp performs as a reflector in that it is visible as specified in subsection (a)(2) of this section, the red lamp may serve as the reflector and a separate reflector is not required. (b) Additional lamps and reflectors may be used in addition to those required under subsection (a) of this section, except that red lamps and red reflectors shall not be used on the front of the bicycle and white lamps and white reflectors shall not be used on the rear of the bicycle. (c) Every bicycle shall be equipped with an adequate brake when used on a street or highway. (d) Except as otherwise provided in this subsection, whoever violates this section is guilty of a minor misdemeanor. If, within one year of the offense, the offender previously has been convicted of or pleaded guilty to one predicate motor vehicle or traffic offense, whoever violates this section is guilty of a misdemeanor of the fourth degree. If, within one year of the offense, the offender previously has been convicted of two or more predicate motor vehicle or traffic offenses, whoever violates this section is guilty of a misdemeanor of the third degree. 337.02 LIGHTED LIGHTS; MEASUREMENT OF DISTANCES AND HEIGHTS. (3) At any time when the windshield wipers of the vehicle are in use because of precipitation on the windshield. Every motorized bicycle shall display at such times lighted lights meeting the rules adopted by the Ohio Director of Public Safety under Ohio R.C. 4511.521. No motor vehicle, during any time specified in this section, shall be operated upon a street or highway using only parking lights as illumination. (b) Whenever in this chapter a requirement is declared as to the distance from which certain lights and devices shall render objects visible, or within which such lights or devices shall be visible, such distance shall be measured upon a straight level unlighted street under normal atmospheric conditions unless a different condition is expressly stated. (c) Whenever in this chapter a requirement is declared as to the mounted height of lights or devices, it shall mean from the center of such light or device to the level ground upon which the vehicle stands. (d) Notwithstanding any provision of law to the contrary, no law enforcement officer shall cause the operator of a vehicle being operated upon a street or highway to stop the vehicle solely because the officer observes that a violation of subsection (a)(3) of this section has been or is being committed or for the sole purpose of issuing a ticket, citation or summons for a violation of that subsection, or causing the arrest of or commencing a prosecution of a person for a violation of that subsection. (e) Whoever violates this section is guilty of a minor misdemeanor. (a) Every person operating a bicycle upon a roadway shall ride as near to the right side of the roadway as practicable obeying all traffic rules applicable to vehicles and exercising due care when passing a standing vehicle or one proceeding in the same direction. (b) This section does not require a person operating a bicycle to ride at the edge of the roadway when it is unreasonable or unsafe to do so. Conditions that may require riding away from the edge of the roadway include when necessary to avoid fixed or moving objects, parked or moving vehicles, surface hazards, or if it otherwise is unsafe or impracticable to do so, including if the lane is too narrow for the bicycle and an overtaking vehicle to travel safely side by side within the lane. (c) Except as otherwise provided in this subsection, whoever violates this section is guilty of a minor misdemeanor. If, within one year of the offense, the offender previously has been convicted of or pleaded guilty to one predicate motor vehicle or traffic offense, whoever violates this section is guilty of a misdemeanor of the fourth degree. If, within one year of the offense, the offender previously has been convicted of two or more predicate motor vehicle or traffic offenses, whoever violates this section is guilty of a misdemeanor of the third degree. (5) At a speed greater than is reasonable and prudent under the conditions then existing. (b) Whoever violates this section is guilty of a minor misdemeanor on a first offense; on a second offense within one year after the first offense, the person is guilty of a misdemeanor of the fourth degree; on each subsequent offense within one year after the first offense, the person is guilty of a misdemeanor of the third degree. (a) No person shall park a bicycle upon a sidewalk in such a manner so as to unduly interfere with pedestrian traffic or upon a roadway so as to unduly interfere with vehicular traffic. (5) The motorized bicycle displays on the rear of such bicycle the current license plate or validation sticker furnished by the Ohio Director of Public Safety under Ohio R.C. 4503.191. (b) No person operating a motorized bicycle shall carry another person upon the motorized bicycle. (c) Each probationary motorized bicycle license or motorized bicycle license shall be laminated with a transparent plastic material. (d) Whoever violates this section is guilty of a minor misdemeanor. (a) No person shall operate a motor vehicle, snowmobile, or all-purpose vehicle upon any path set aside for the exclusive use of bicycles, when an appropriate sign giving notice of such use is posted on the path. Nothing in this section shall be construed to affect any rule of the Ohio Director of Natural Resources governing the operation of motor vehicles, snowmobiles, all-purpose vehicles, and bicycles on lands under the Director’s jurisdiction. If my health insuror pays for my accident related medical bills and I accept a settlement, do I have to pay my health insurer back? Should I talk to the other driver’s insurance company after an accident ? What should I do if I am injured in a car accident caused by another driver? Who is responsible in a crash when a traffic light is flashing? What about drunk or impaired driving?